The writings, photos and other bits and pieces of my creative muse, usually Nature focused or about the Nature of people. Wishing a beautiful, and hopefully sunny, Easter weekend to my blog friends. I have quite a collection of bunny pictures. 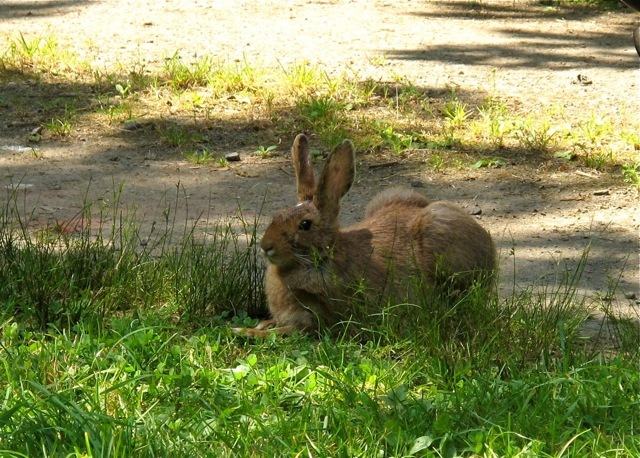 I call them bunnies, other folks call them rabbits, but it is the snowshoe hare who lives amongst us. The legend of the Easter bunny is a story about a snowshoe hare. Eostre, or Ostara, is the Germanic goddess (whence the word Easter is derived) of fertility (estrogen is also named after her). It is her job to bring spring to the cold wintry world, but one year she was late, which brought all kinds of havoc, including the near death of a small bird whose wings had frozen. Eostre held the bird, bringing it back to life, then, since it couldn’t fly, turned it into a snowshoe hare and kept it as a pet, though some versions say it was her lover. She named it Lepus (Lepus Americanus is the Latin name for snowshoe hares) and gave it the gift of laying colored eggs, to remind it of its bird origins. One day Eostre got upset with her hare and threw it into the sky, where it remains today as the constellation Lepus, lying at the feet of Orion the hunter (not a good place for a hare, or any animal). Later Eostre soften a bit and allowed Lepus to come back to earth one day a year, in the spring, to lay his beautiful eggs. He would lay them in hidden places so they wouldn’t be found and eaten. 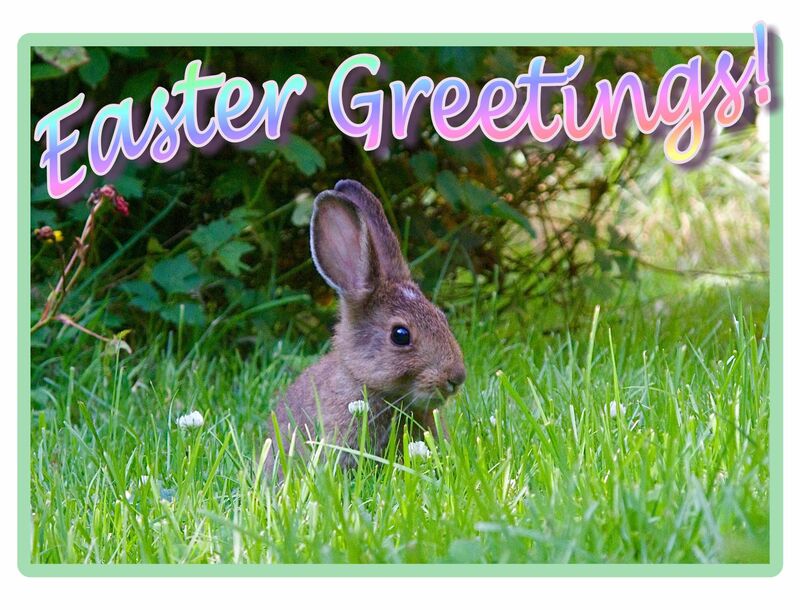 Eostre’s hare became Easter’s bunny, its eggs – Easter eggs, symbols of rebirth for spring rites, and looking for the hidden eggs became egg hunts and Easter baskets. Or so the story goes. I have great respect for goddesses, legends, and cultural traditions, but I like my hares plain and simple. I find them quite magical just the way they are. Unlike rabbits, whose babies are born with their eyes closed, ‘real’ hares not only don’t lay eggs, but give birth to babies with their eyes open, unique among the world of mammals. 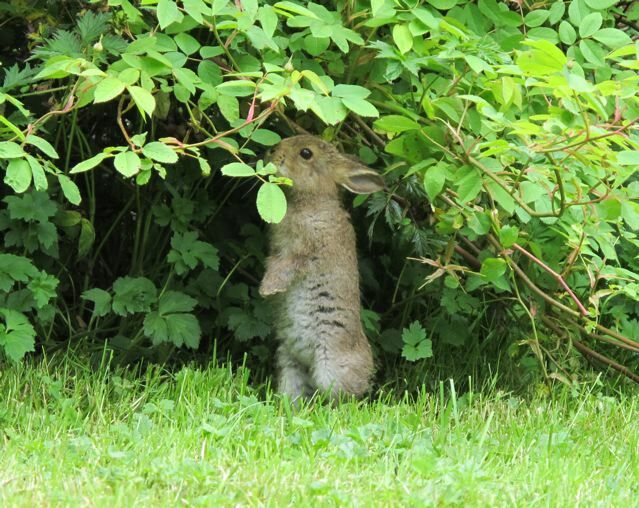 Born fully furred and mobile, snowshoe hares venture out on their own very young. Given their place in the food chain, it is remarkable any survive. We once found a very tiny hare in our lawn, perhaps it had been grabbed, then dropped, by some predator. It appeared to have a broken leg so we brought it in, raised it until it seemed healed, then released it. Solitary young snowshoe hares hide in various places, coming together at mom’s to nurse several times a day. At four weeks they are on their own. Hare’s enjoy naps and dust baths, which may explain why the little one that showed up in our yard last year sat very still throughout the day in the dry dirt under the eave of our house. 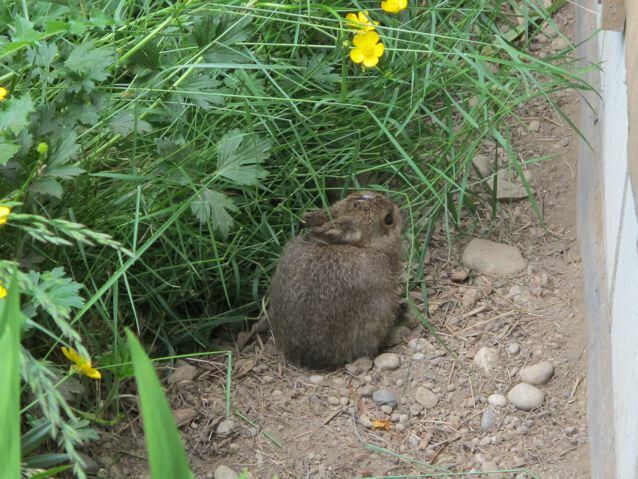 Though not really hidden, it might have felt protected – being such a tiny fur ball, it blended into the rocky dirt. So far no hares have arrived this spring. Unlike Eostre’s Lepus, they don’t necessarily appear at Easter. The delightful weaving of pre-Christian symbols for renewal and rebirth with the Christian story of resurrection results in a season of optimism and new beginnings. May your basket overflow with the blessings and hope of the season. Tree Fairy Tales for the your holidays…..
Clicking on the title of a post takes you to the page for that post where you can write comments, share, etc. Welcome to Huckleberry Wanderings, the ramblings, writings, photos, and drawings of a Nature loving eccentric. Readers might occasionally be amuse, perhaps informed, hopefully inspired to appreciate Nature, care for the Earth, themselves, and each other. Along the way I share some personal stories. May you find pleasantry in the erratic journey. If you like where I wander, sign up below for email notifications of new posts. I promise, it will be infrequent enough not to be intrusive! Thanks for coming along. I look forward to your own comments & musings! Please click and enjoy viewing my Nature Cards! Unless otherwise noted, all images and posts are owned and copyrighted by Huckleberry Wanderings author, Penney Hubbard. Please do not reproduce, re-post or use any material contained within this blog without prior permission from the author/photographer. Thank you!